Keywords are basically the words or phrases that let people and (more importantly) the search engines know what your page or post is about. Let’s say (for example) that someone is searching for a good landscaper. They might type into the google search bar (my town) landscaping; if (my town) landscaping was your keyword, and your content was relevant to that, your site may rank on the first page. There are some variables however that should be discussed. If you want to make money online, you need to know all about keywords. 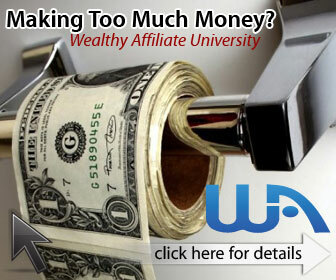 For in depth training about keywords check out Wealthy Affiliate here. How To Find Keywords For A Website. How do you know what terms people are searching for? There is not a lot of sense putting time into a post if it is not something that your potential clients are searching for. The best way to determine what people are searching for is to simply load google and start typing what you think may be relevant to your website. As you start to type in your idea, google tries to figure out what you are looking for based on popular search terms. This is the first step only. What if all of the landscaping websites are using the same three or four terms? It would be pretty hard to rank on the first page if you are the new guy. You can expand your ideas at Yahoo Answers and at EHow.com. Exactly the same way as with google. Simply type your idea into the search bar and look at what comes up first. Those are the search terms that you need to research. Let’s take these terms and plug them into this really cool keyword research tool. Plug Your Ideas Into A Keyword Research Tool. The best Keyword Research tool (as far as I’m concerned) is Jaaxy. (Learn Why Here) Jaaxy will take those generic search terms generated on google and let you know what terms are worth blogging about. If we go back to our google search we see Landscaping, landscaping ideas and landscaping companies. Go to Jaaxy and type in Landscaping in the alphabet soup tag. Go ahead, type it in… its free! No obligation! Once you click the alphabet soup tag, key in your term (landscaping). In seconds Jaaxy will spit out thousands of keyword phrases. The first section is related to ‘a’ the second, ‘b’ and so on… Scroll through the phases until you find one that makes sense to you and feels right. I scrolled to ‘f’ before I found a phrase that made sense to me. I chose lawn free landscaping because I hate mowing my lawn! There are a couple other people on my block with ‘crappy’ lawns too, so I can’t be the only one! Whatever the reason a keyword stands out to you, search on it. It only takes a few seconds to see if its worth your time to pursue. There are thousands of phrases that people search for however. Way more than you could ever be able to blog about. When you need to know how to find keywords for a website… nothing compares to Jaaxy! Let Jaaxy Keyword Tool Do Magic. It isn’t magic, it just seams like it… The keyword research tool will (almost) instantly populate a list of commonly searched terms. Then, it will let you know the average monthly searches, an estimate of the traffic to your website, the number of competing websites using the exact search term as well as other very important information. I clicked on the ‘search this’ button for lawn free landscaping… Let’s see what happened. You can see that there are eleven keyword phrases on this portion of the page. For the search term ‘lawn care landscaping’ there is an average of 3666 searches per month. That would relate to about 624 visits to your website every month, if you ranked on the first page. There are 145 other websites using this exact search term. The KQI (keyword quality indicator) for this keyword is excellent and the SEO is quite high being 87 out of a possible 100. ( this is just a score based on traffic and competition). Grass free landscaping ideas is also a really good keyword! In less than five minutes we have typed in our idea (landscaping) and came up with three search terms to research. We have researched the basic idea and received thousands of ideas from the alphabet soup mode. Jaaxy has researched (just one) of those ides and come up with 11 on this page alone. That excites me! Now comes the fun part. Take your keyword and write about it. As people search for that term your post will be ranked and the visits to your website will increase. The more traffic visiting your site, the easier it will be to cash in and start to make money online. You want your post to stick fairly close to the keyword. If a person is searching for ‘lawn care landscaping’ you want your post to describe just that. Keep your post reasonably short and to the point, if you can reasonably describe the keyword in the range of 1000 to 1500 words. Break up the content with pictures or other media. Try to write as if you were talking about the keyword to a friend, not like a dry math professor… Have fun and it will come across to your audience that way. I hope you have enjoyed my blog about how to find keywords for a website. If you have any other ideas or procedures please let me know in the comments box below. If you like Jaaxy and think you could get some use out of it you can try it here for free. Look here for more how to’s with Jaaxy. My name is Robb Murray and I am an Affiliate Marketer. 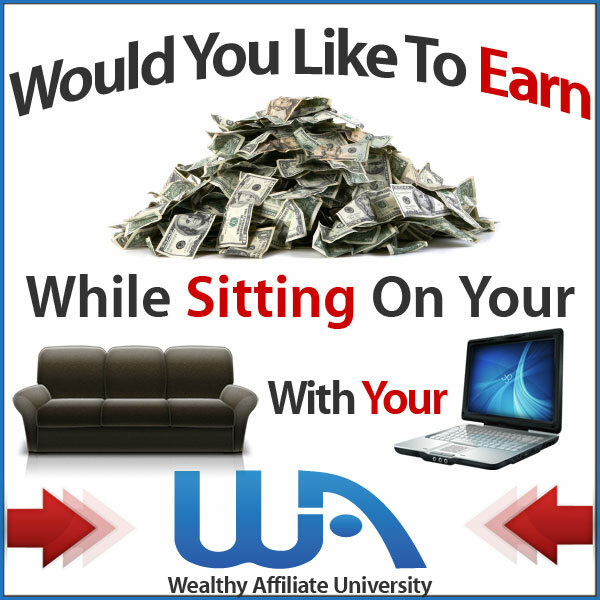 I promote a company called Wealthy Affiliate. A marketers dream platform that offers everything from training to rocket fast hosting. If you would like to know more about how you can make money online ask me in the comment box or click here to learn about Wealthy Affiliate. Like or share my post and let’s all get along, have fun and make money… Lots of money! Super cool! I just tried using Jaaxy and already have a few ideas! Cool! I tried using jaaxy for my website and easily found some interesting ideas. I’m so excited to get started and explore more with this tool, thanks! That’s awesome Amanda. It is easy to use and gets you some amazing keywords! Have fun and make money!